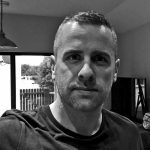 With over 10 years in business, John is hugely experienced in designing and developing custom built, unique websites for all industries both in Ireland and internationally. One of the most in-demand WordPress developers in Ireland trading under the name Egg Design, John also specialises in ecommerce websites as well as offering ongoing website support & maintenance packages to his clients. John has a vast understanding of the web in terms of web standards while creating functional, responsive websites that convert users into customers.